Please select the book/s you wish to reserve/buy. Add them to your basket. Please fill in fully the forms that appear on your screen, this saves time later. We accept payment by sterling cheque, banker draught, Visa, Mastercard, & PayPal Invoice. If you wish to pay by credit card we will need to contact you by telephone. Please tell us a good time to ring you or if you prefer, for you to ring us - +44 (0)1430 235841.The reason we need to contact you by phone is that this website does not support an ecommerce system, and this personal contact allows us to give you an accurate postage quote and discuss the book if you need to. Postage is charged at cost. 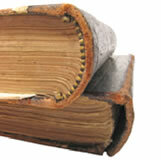 Within the UK no order up to 30 kilos, how ever many books, is over £10.00. Overseas can be by a tracked air service, ordinary air mail or surface mail. All books are in very good condition unless otherwise stated. Photographs are available on request. Any book is returnable with in 14 days of receipt with no reason required, but the buyer is to pay the cost of return unless the book is not as described. If that is the case we pay the cost of return. If you have any further questions or require further help please contact us.